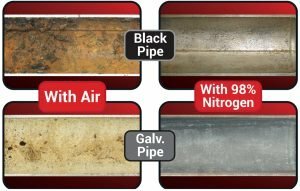 What can I do to prevent corrosion in my dry fire sprinkler system? 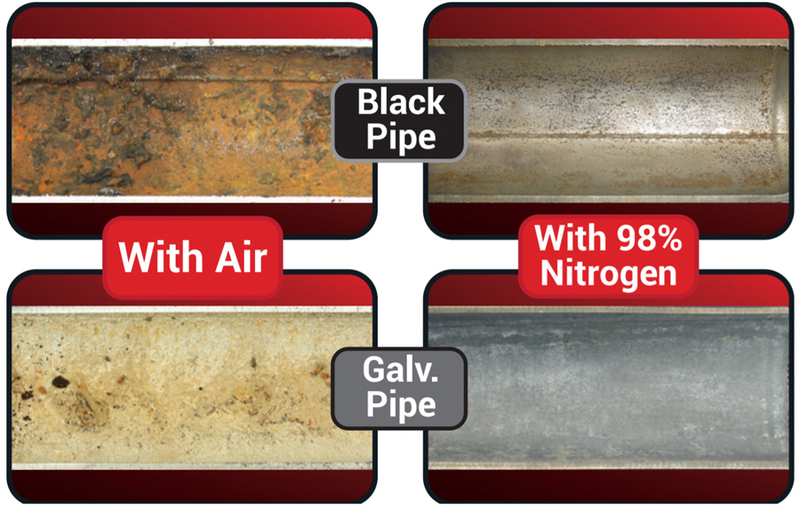 The answer is to introduce and maintain 98% pure nitrogen in the system to effectively arrest corrosion. It’s important to remember that a properly maintained nitrogen system will not reverse corrosion, rather it stops corrosion from getting worse, and prevents it in a new system or any new piping. Our partners at South-Tek Systems manufacture the most efficient and cost effective engineered corrosion systems on the market. Their dual-bed pressure swing adsorption (PSA) nitrogen separation technology is superior to other membrane systems, generating more nitrogen with less feed air, providing 98% pure nitrogen. 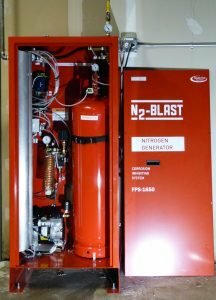 The N2-Blast System installed for your dry or pre-action fire sprinkler system generates and introduces 98% pure nitrogen, displacing any oxygen and moisture, a key contributor to corrosion, from the fire system piping through the AutoPurge system. This system effectively arrests all three types of corrosion; electrochemical, galvanic and micro-biologically influenced corrosion (MIC). 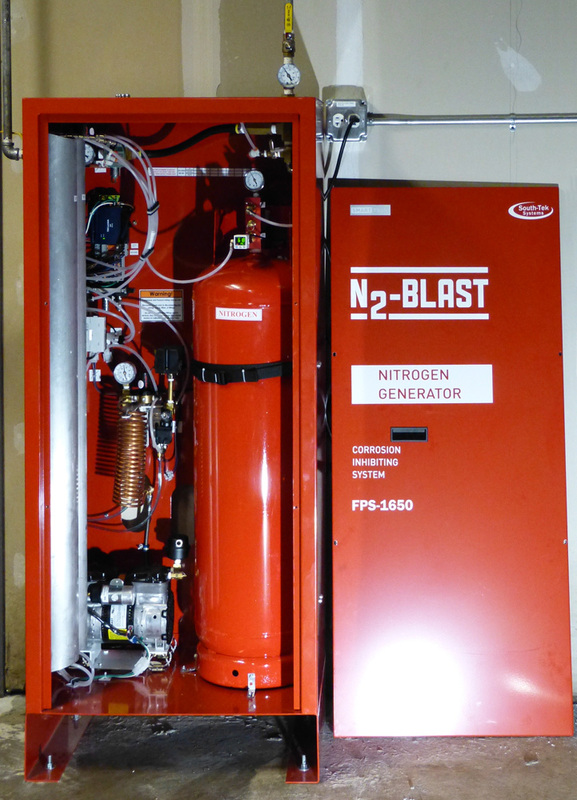 Another benefit of the N2-Blast system is preventing freeze ups and ice plugs that can occur in a system supplied with compressed air alone. N2-Blast Nitrogen systems ensure a -40°F to -70°F dew point within the Fire Sprinkler System preventing condensation buildup that leads to ice plugs. 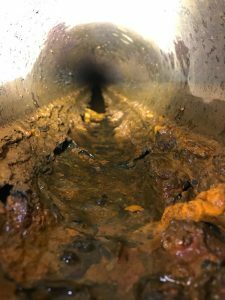 How serious of a problem is corrosion in dry fire sprinkler systems? 73% of dry and pre-action fire sprinkler systems inspected had significant corrosion issues after 12.5 years of normal use (VDS Study). Black Steel: The calculated service life of black steel pipe increases from 20 years to 63 years. Galvanized Steel: The calculated service life of galvanized steel pipe increased from 10 to 176 years.